The Puzzled Palate: (Almost) Wordless Wednesday: My Cup Runneth Over- Revisited! (Almost) Wordless Wednesday: My Cup Runneth Over- Revisited! A few weeks ago, I shared about M finally allowing me to brush and braid her hair! This week, she let me do a french braid. This "style" required more brushing, tugging and sitting still- all things that she is not a fan of. We are noticing a huge difference in her sensory sensitivity and we could not be more excited! Here are a few pictures of the "fancy Elsa braid!" Look at that beautiful eye contact! I can't believe that she sat still for this without freaking out! Her hair was wet in these pictures- but she kept the braid in all day! Be sure to check out the original post about "Anna & Elsa Hair" for more cute M pictures! Did you have a "winning moment" this week? I love the braid! My daughter would have never sat still for that when she was that age! Gosh, I wish I could do hair like that. I would love to be able to french braid my daughter's - but I can barely braid it simply as it is! Wow! Rockin job on that braid! Did you do it while her hair was wet? That is the only way I can get my daughters to come out right. So awesome!! Her hair looks beautiful, just like Elsa's! I wish I knew how to french braid! My mom was always so good at it. Ok, that braid ROCKS! I wish someone could do that on my hair! 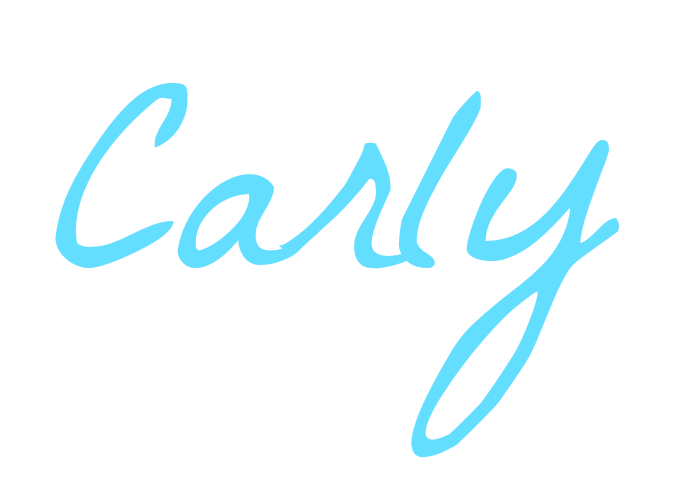 it looks GREAT Carly! I'll bet that she had loads of curls when you took it out. Good for Belle hair! :) Proud of her. I'm excited for you that she allowed you to do this for her! So exciting! My winning moment was at bedtime last night. My son told me he "needed a night night" and he didn't fight bedtime. Not sure if that'll happen again, but it was a nice break! That is so pretty. I wish my girls would sit still long enough for me to do that with their hair. Beautiful job on the braid and beautiful girl. Yikes, not yet but yay for your moment! That's really an achievement, especially if you have a daughter that's super sensitive to the brushing/pulling/sitting still. I used to have to wear my hair in a french braid for cheerleading when I Was a kid! I could never get it by myself, I always needed help! Good job on her braid. I also found it easier to french braid my own hair than to do my daughter's. It does take more time and tugging, but the results are well worth it. Nice job. oh gosh, that's big news! beautiful girl with a beautiful braid! What a sweetie! Her hair looks great! She's too cute! And the braid came out great and looks terrific on her! She is beautiful.I love the braid looks really good.My girls love having their hair done and will sit still for ages i think they get that from me i love someone else doing my hair lol. That is a great looking braid. Congrats that she kept it in all day, we still can't get my niece to do that lol. Love the braid, you did it perfectly. She is so cute! She is beautiful! That braid came out really pretty too, nice and clean! The braid looks wonderful! She is a true Elsa for sure! So glad she's making progress with her sensory sensitivity. Her hair looks so cute like that! Such an accomplishment! Was she singing Let it Go? When isn't she singing something from Frozen?? My winning moment was when I see both my brothers, mother, husband and daughters all at the same time! I love french braids! My daughters always wore them. It looks beautiful and she looks adorable; she's definitely very excited about it! I love doing my daughter's hair and am thankful she doesn't mind letting me do it. Very cute. We've been doing some of the hairstyles on the "Cute Girl Hairstyles" app. It's super fun but takes a lot of patience on my daughter's part! THis is why I always wanted a girl! I really love braids and to do hair like that. YOu did a great job!!!! I seriously need to learn to braid like that! My daughter will be needing braids in not that long!